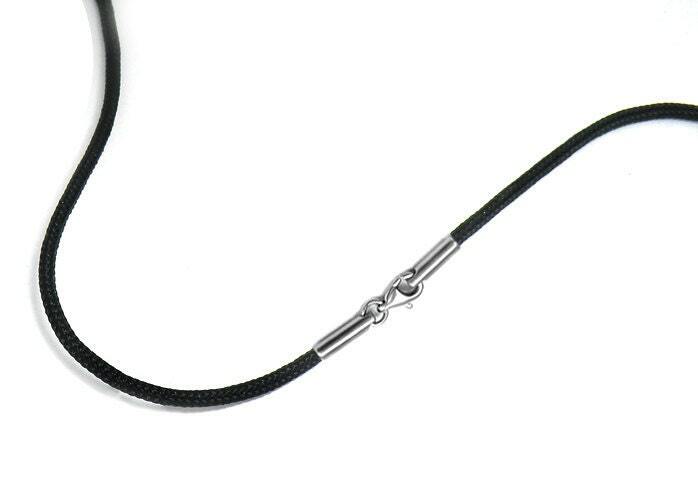 2mm Black Braided Cord Necklace with Stainless Steel lobster clasp. Ideal for all Taormina Pendants and Crosses. Fits in bail opening 3.10mm and larger. Length available: from 14" to 26"